HA NOI (VNS) — Viet Nam's coach, Hoang Anh Tuan was confident that his team would defeat Thailand in the final of the ASEAN Football Federation's U-19 Championship today. After a 4-0 victory over host Laos in the semi-finals on Wednesday together with a brilliant performance of striker Ha Duc Chinh, who scored a hat-trick, Tuan strongly believes in his chances. "The confidence is growing in the team. We had a slow start, but now the team is at a good level," Tuan said. "It will be tough in the final against Thailand, but I believe it could be anybody's game." Tuan said, and added that his players were getting better after each match and seemed determined for a win, which was what satisfied him the most. The 47-year-old coach praised Chinh who is currently the top scorer in the tournament with five goals. "Chinh wasted numerous chances in previous matches in some unbelievable ways. But he shone brilliantly in the semi-final match against Laos. He did a very good job as a striker," Tuan said. He also appreciated the captain, Nguyen Trong Dai's contribution. "Dai is a key link in the team. He is calm and careful. He is really a leader of the team." Talking about the final, Tuan said he had watched Thailand carefully and believed Viet Nam had the chance to beat the most powerful team, which had scored 20 goals. "Thailand has scored more goals than Viet Nam, but their rivals in the group stage are not as good as Viet Nam. But they will find it very difficult when they meet stronger rivals," he said. "It is not important to score many goals. In my opinion, what matters is the final result," Tuan explained. He said Thailand would be under more pressure than Viet Nam as they are the former defending champions and will face a team whose net is clean from the beginning of the tournament. Viet Nam has scored 14 goals in five matches and goalkeeper Nguyen Thanh Tuan and the effective defence are expected to continue to keep the net safe for one more match. "I am confident about the ability of my players, and Viet Nam, which finished second in the two previous championships, will play fair with Thailand and have the opportunity to be champions." The final will be at 7pm and aired live on VTV6 channel. After the Vientiane event, the team will take part in a qualifying round of the Asian Championships in Myanmar later this month. 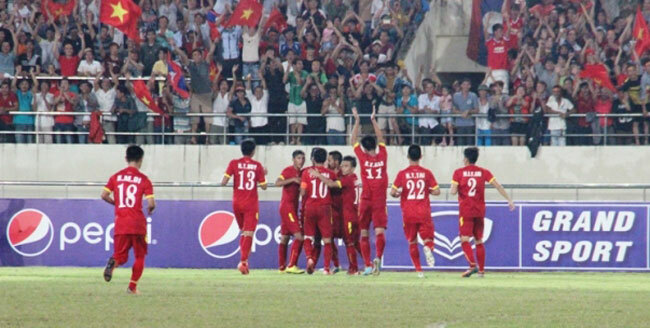 Viet Nam are in Group G with Hong Kong, East Timor, Brunei and the hosts. For a berth in the final round, participants will have to vie for the group's top position or be one of the five best second-placed teams. Group G's games will be held at the Thuwunna Stadium in Yangon.